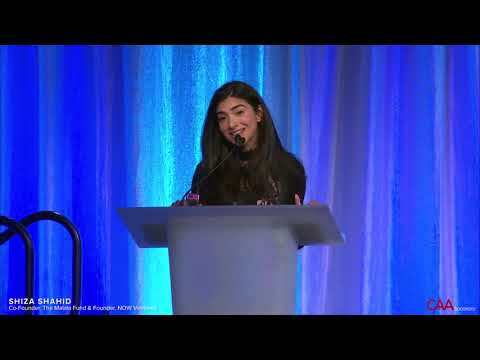 Named one of TIME's "30 Under 30 People Changing the World", Forbes' "30 Under 30 - Social Entrepreneurs", and Business Insider's "30 Under 30 Venture Capital Investors in Tech"
Malala.org NOWVentures.co ASPIREist.com "Shiza Shahid’s plan to change the world for good"
Shiza Shahid is an entrepreneur, investor, technologist, activist, and world-renowned impact leader. She co-founded the Malala Fund with Nobel Prize winner Malala Yousafzai, and led the organization as founding CEO, focusing on creating access to high quality education for all children around the world. Shiza is passionate about the future of technology and the powerful impact it can have on people’s lives, and actively invests in startups that have the potential to advance humanity. A former business analyst with McKinsey & Co, Shiza has her finger on the pulse of economic and technology trends around the globe. In partnership with AngelList, the largest Venture Capital Platform in the world, Shiza launched NOW Ventures through which she invests in mission-driven tech startups that are solving the world’s most pressing challenges through technology, innovation, and high-growth business models. Shiza is also the founder of The Collective, a community of leading entrepreneurs that come together to build collaborative change. 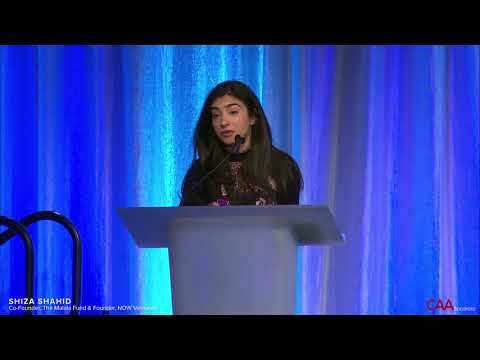 Widely recognized for her humanitarian work and tech innovation, Shiza has receiving many awards as a thought leader. She was named one of TIME's "30 Under 30 People Changing the World," Forbes' "30 Under 30 - Social Entrepreneurs," and a Tribeca Institute Disruptive Innovator. She is a member of the WEF Global Agenda Council and has been featured in numerous publications, including Forbes, Fast Company, Elle, Glamour, Town and Country, The Edit, CNN, ABC, Al Jazeera, MSNBC, and others. 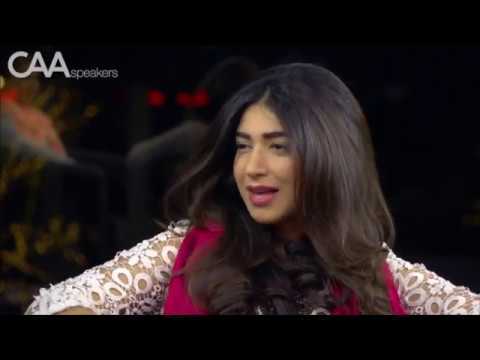 A prominent speaker, Shiza has spoken regularly at major international events, including Aspen Ideas Fest, Milken Global Institute, Forbes Women, Fortune Most Powerful Women, Inc Women, Women Moving Millions, the World Economic Forum, and others. Shiza is also the host of the new USA Today show "ASPIREist," which inspires millennials to take action on the issues that matter most. 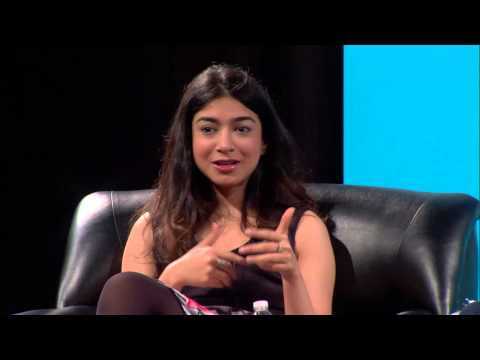 Shiza graduated from Stanford University with University Distinction and studied exponential technologies at Singularity University, which is dedicated to applying futuristic innovations to advancing humanity. How technology will change the way we live, interact and create. What that means for your business and how to think about the future. How social progress and our planet will fare. How to inspire and retain young talent. How to market to millennials and build a brand that commands loyalty. What are the characteristics of this demographic and how can you have edge. How any company can become more purpose-driven. Why having purpose is good for business and the bottom-line. Practical ways to get started today. How far have we come, and what's most important today. How you can play a tangible role in advancing gender equality in your businesses, communities, and globally. 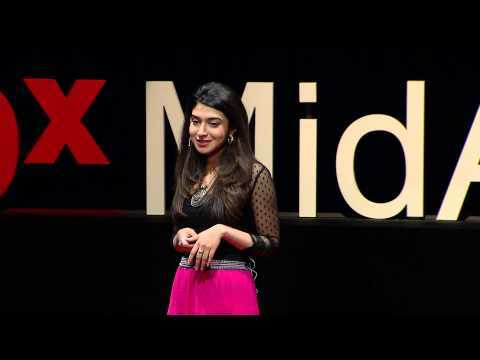 A personal talk about Shiza's journey and struggle to create social change. He work with Malala founding the Malala Fund and her mission to create scalable social change today. How ordinary people can make extraordinary waves, and how each of us can become change makers today. You may be interested in these speakers. To book a speaker, or for more information, call 424-288-2898, or send us a message using the form below. What speaker(s) are you interested in? The foregoing consent is given notwithstanding any other lawful basis for the processing or transfer of Personal Information or Other Information.